An invitation template with a pink ribbon fundraisers, benefits, and charity events. 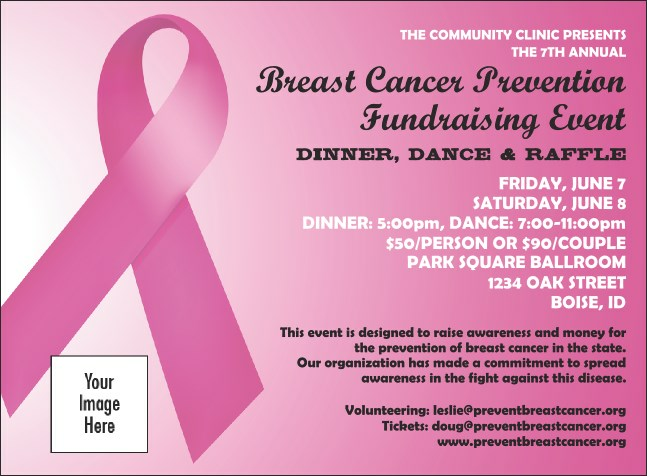 This inexpensive invitation works for many causes, nonprofits, and charity fundraisers - for example, breast cancer. Part of our Pink Ribbon Event Pack.